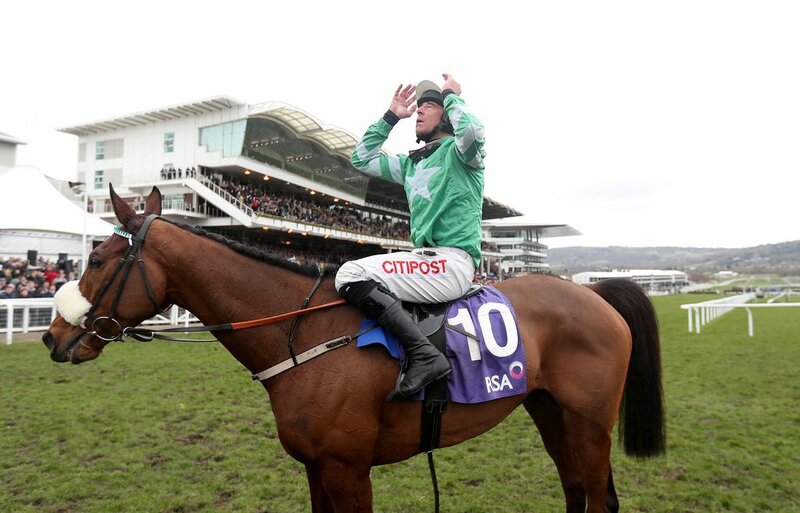 Leading Cheltenham Gold Cup favourite Presenting Percy is looking up at the heavens to produce plenty of rain over the next couple of weeks so he has prime conditions for his seasonal reappearance. The Phillip Reynolds owned seven year old is said to be looking a million dollars and is ready for his return to a racecourse after he has not been seen now since his emphatic victory at jumps racing HQ in the RSA Chase. There are many options on the table for the Pat Kelly trained superstar but it looks like the favourite choice of the trainer and owner is set to be at Leopardstown over Christmas in the Grade 1 Savills Chase. He could also be supplemented in the King George VI Stakes at Kempton which is two days before the race in Ireland but if the ground is softer in England this is a serious option for the two time Cheltenham festival winner. Reynolds would prefer to stay in Ireland for his seasonal debut and that is why he is praying for rain as he would have to pay £10,000 to supplement the seven year old into the King George and it is likely he will not run. (Credit Racing Post) Reynolds said: "I was down to see Percy the other day and he looks a million dollars. He has his head out over the door begging to run, and he's been like that since the end of August, but what can you do? We would have loved to have run him by now but he needs rain to arrive. "It will cost ten grand to supplement him for the King George later this week and, while it is unlikely we will at this moment, I wouldn't entirely rule it out as we will go wherever the ground is suitable. If Kempton was softer than Leopardstown we might consider it but looking at the forecast for the two tracks it looks like Leopardstown is going to get a lot more rain than Kempton." Presenting Percy is the 4/1 second favourite to take the Grade 1 in Leopardstown behind Road To Respect and if going to Kempton he is a general 10/1 shot to take that prestigious race. "I have everything crossed that the rain will keep pouring down. That is all I want for Christmas – rain, rain and more rain," Reynolds said. "You simply cannot go to the Cheltenham Gold Cup on the back of just one run so we need to run somewhere at Christmas. Whether that is Leopardstown or Kempton I don't know yet, but I really hope he runs somewhere."